The past couple of months I have been working closely with sound designer and composer Carl Butler (Temporal Geometry) who has been creating the unique soundtrack to Galaxial. These are two tracks from the soundtrack to give you an idea of the musical style that will feature in the game. Enjoy! In the finished game there will hopefully be over 5 hours of Carl's music! It is fairly ambitious to want to include so much but I feel it matches the huge scale of Galaxial and its unique graphical style very well. 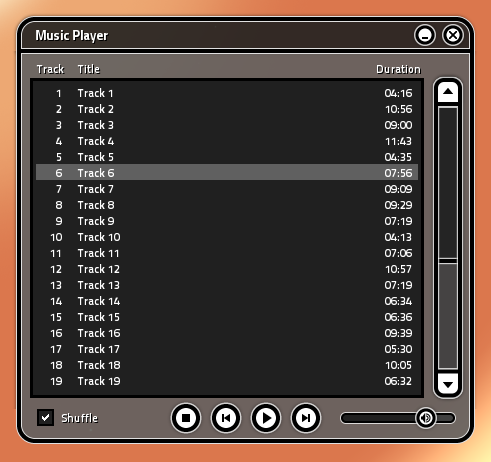 I have created an in-game music player/jukebox so you can easily select which track to play and rearrange the playlist order if you wish. Adding custom music to the playlist will also be supported. Carl will also be doing all the game sound effects, so the entire game audio should sound very cohesive using his own unique style. We will be working further on the sound effects over the coming months when more of the graphical content for the game such as ships, weapons and visual effects are finished. 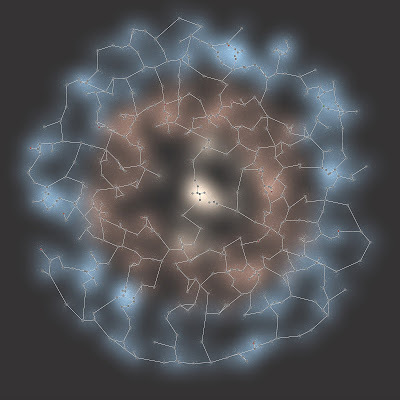 Above is a giant screenshot of the galaxy view containing 500 sectors. The screenshot maximum size is currently set at 4096 x 4096 but I may also add an option for 8192 x 8192 although it will take a lot longer to save the file and may not work on some older graphics cards. Thats all for now. 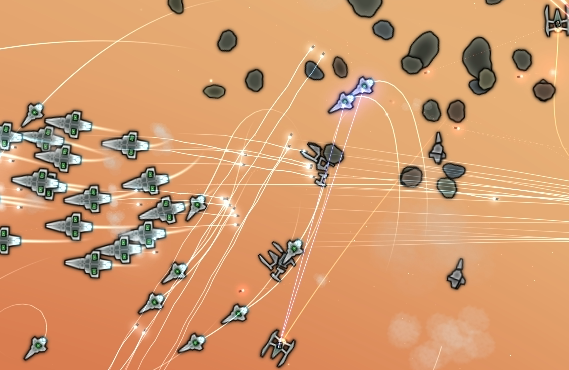 As always, would love to hear your feedback as development of the game progresses.